We welcome this news and would like to thank those MPs who listened to reason, engaged in the debate and negotiated tirelessly with the Home Office in an attempt to implement good law, it was refreshing to see democracy in action. We also thank all those in the shooting community who didn't give up hope and made the effort to write to their MPs. The minister behind the bill, Victoria Atkins, has stated that a further consultation may eventually take place on the matter, this may also include other aspects of shooting such as .22 miniature rifle ranges - Section 11(4). We are hoping that as any further consultation will be batted back to the Home Office, any changes to .50cal firearm ownership will be limited to the enhanced security proposals as outlined by Sir Geoffrey Clifton-Brown. It is also hoped that any changes (assuming there are any) can be implemented via the ever-evolving ‘Guidance to Police’ document, rather than require any further expensive Parliamentary time. It may come as a surprise to the anti-target sports person, but we are equally keen to ensure that ANY firearm regardless of calibre does not fall into the hands of criminals. As such we will continue to work with the Home Office to implement any enhanced security measures as appropriate. The next stage will be the report stage and 3rd reading. No doubt the 3rd reading will be a lively debate, we are currently sending out invites to our most vocal opponents, asking them to sit down with us and discuss their fears and concerns– most of which stem from their lack of knowledge, fueled by overt scaremongering and outright exaggeration of the capabilities of large calibre rifles. After the 3rd reading the bill passes to the Lords. There may be pressure from the “antis” to re-introduce the clause to ban 13,600J rifles when it hits the Lords, as such we are taking no chances and will soon be starting the process of briefing the Lords. However we are now in a MUCH better position than ever before. It looks as though MARS/Lever release (and Bump Stocks) are for the chop. Will keep you updated as things develop over the next week or so. 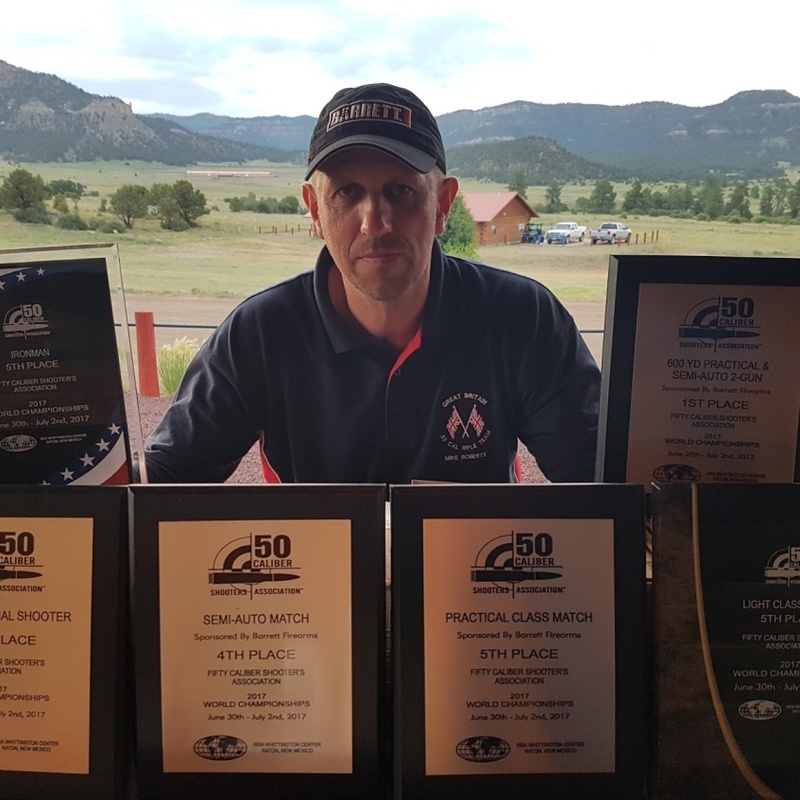 This year we've had yet more successes at the Fifty Caliber Shooters Association World Championships, held at the NRA Whittington Center, Raton, New Mexico.. This fighting fund will be used to defend the FCSA’s primary concern – that of long distance .50 calibre target shooting. This will be extremely costly and therefore regrettably we cannot use this fund to also defend other firearm types that are currently under review, such as MARS rifles. Several individuals have enquired as to why we are not also vigorously fighting to defend MARS type rifles. The reason is simple – these rifles are NOT what we as a club specialise in and we do not have the expert knowledge necessary to challenge the Home Office views. There are other clubs out there that do have the appropriate expertise and should take the lead on defending these firearms. We cannot fight everyone’s battle, if we attempt to do so then we will most likely fail on all fronts. Our expertise lies with large calibres and we need to be clear about this distinction. The FCSA is just that, the Fifty Calibre Shooters Association. We are not and cannot take on the role of being the overarching body to represent the whole shooting community, the role rightly held by the NRA. We are clearly happy for any organisation fighting to retain the use of MARS rifles to use any of the points we have put forward previously regarding the Home Office “consultation document” that may be appropriate to their needs. We have now set up a separate savings account which is ready to accept donations. We can accept BACS transfers at any time, or cash and cheques at our range bookings. We will NOT need to use these funds until we have to pay legal fees, this will be AFTER the consultation is closed and any changes to firearms law that concern firearms capable of generating a muzzle energy in excess of 10,000 ft/lbs are proposed by the Home Office. Any associated day to day costs incurred, such as travel expenses, but not legal fees, will be funded from the FCSA current account balance. This way we can ensure that your donation is only spent on lawyer/barrister (legal professional) time. Please ensure that you keep a record of your donation, the amount and the date of transfer. I suggest for your payment reference that you use your full name. The reason being is that if the funds are not required for any reason then we need to ensure refunds can be processed effectively – if requested. At 3pm on the 6th November, the FCSA met with the Home Office officials who are working on the firearms consultation. The meeting lasted for over 2 hours, it seemed very productive and did not appear to be simply a tick box exercise on their part. The meeting provided the opportunity for us to better understand their concerns, provide an opinion on how realistic such concerns were and how the risks they perceived could be mitigated to fall short of requiring an outright ban on .50 rifles. We needed to get some clarification on the scope of these proposals, establish exactly where these “public concerns” have originated from (and whether there is any evidence for these concerns), details on how best we can influence the decision making process and ensure that the FCSA is THE organisation that has a direct line of communication with the Home Office when matters relating to our particular shooting discipline need further discussion. 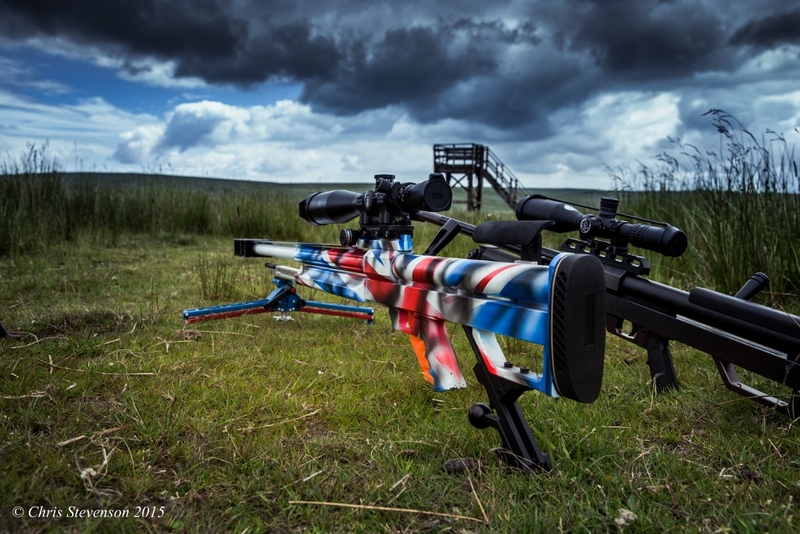 We were particularly keen to establish a direct link – rather than rely on any other shooting organisation which, while well intentioned perhaps doesn’t really understand the ballistic detail and competitive aspect of large calibre rifle shooting. We ended up with a mixed bag of results, some good news, and some worrying news. Firstly,it appeared that the concerns were primarily related to such rifles falling “into the wrong hands” and the police not being equipped to deal with misuse. They accepted that current FAC holders were not “the wrong hands”. They also broadly accepted that the potential “criminal use” of such rifles was limited and not of great concern. This left the main expressed concern appearing to be the potential for these rifles to be acquired by a terrorist organisation through acquisition of a legally civilian owned rifle and misused. We discussed potential measures to the risk of a civilian owned .50 calibre rifle falling into the wrong hands, which I’ll go onto shortly. The Home Office staff were keen to advise us to submit detailed recommendations in writing to the consultation. The bad news is that they are considering EVERYTHING over 10,000ft/lbs. Not just .50cal. Exemptions may be made for historic very large calibre rifles (anti-tank), however it would be up to us to define the exemptions. This is easily done by a manufacture date cut off. As this has now officially opened up to include anything over 10,000 ft/lbs there are a lot more rifles that may subject to prohibition. so watch out .460, .55, 14.5, 20mm – and no doubt several large hunting calibres. We did point out that there is no ballistic significance of the 10,000 ft/lb figure and that the “material destruction” capability of firearms essentially bore down to the projectile but this appeared to be a figure that was felt to include those firearms that they had concern about. It was then that it appeared that the view of some in the home office was that it is considered that there should just be some limit on the muzzle energy of firearms that civilians could own in the UK. This was presented without any further justification. Further bad news is that the Vz58 MARS was merely an example of a rapid firing firearm, and any other firearms that are capable of a similar rate of fire will be considered for section 5 categorisation. The good news is that they will indeed consider suggestions that sit in-between an outright ban and ‘do nothing’. Such as Section 5 type security at the rifle storage address, and enhanced security for guns in transit. This was not previously seen as an option available to us. We discussed monitored alarm systems, CCTV, separate safe for the bolt, keeping the bolt separate in a locked box from the rifle when in transit, even potentially storing the firing pin mechanism separately and GPS trackers. Although these measures would be difficult to incorporate into primary legislation they could be incorporated into current FACs conditions. I have also since been advised by an FEO that the Home Office “Guidance on Firearms Licensing” will soon be a legal document referenced from within a revised firearms act. There is the possibility that the above examples of risk mitigating measures could be incorporated into a revised Guidance on Firearms Licensing Law document. This may be a good option all round, as it would eliminate the need to push for any parliamentary debate on the matter. The Home Office has agreed that we are ‘the’ primary stakeholders when it comes to .50calibre and anything over 10,000ft/lbs, and will be dealing direct with us on any issues relating to these type of firearms. As such we may have to give evidence to a parliamentary select committee. We explained the issue we have over the term “material destruction”, and talked at length about ammunition types. They have requested ballistic reports to prove that a .50 calibre rifle using section 1 ammunition does not have the same material destructive capabilities as AP or API ammunition. (Some quick work needed here – help from the membership or anyone with the correct qualifications IS required). It’s crucial that we can submit evidence to support our claim that .50 ball/brass/copper/AMAX will not penetrate steel plate at whatever distance …(100 yards?). They have asked for evidence. This, however, would have to be relevant to the supposed “real world” scenarios the may be worried about. We were advised that it’s VITAL that we have an MP, or MPs, on our side, because if they decide to press on with changes to legislation then we will need representation in parliament. They admit that their figures are wrong, both in terms of numbers of rifles, and costs, we need to provide this data! Now that we are talking about a lot more calibres than just .50 the numbers are going to increase dramatically. We also raised the fact that we spend £36,000 with Landmarc each year, plus numerous B&Bs and restaurants, often in remote rural locations – plus we have dedicated reloading equipment, parts, ammunition and components. The police service appear to be concerned about being, colloquially speaking “outgunned”. It’s important that we can debunk the myth that a terrorist lugging around a .50/.460 and attempting to shoot targets at long range will be more of a problem for the police to deal with than a bad guy with a smaller calibre such as 300WinMag, or even 308 for that matter. They admitted that the only people who have raised any concerns with .50 are the police and MPs, although I doubt whether many MPs know what a .50 is. MP Nick Hurds comments on civilian clubs using AP ammunition are to be withdrawn or corrected, as the HO admits they are incorrect and misleading. We need to provide solutions, not moans or complaints. They don’t care how outrageous all this is, they will only take note of either possible solutions to reduce the so called risk, or any financial implications of a ban. I will send out some pointers over the next few days, but for those wishing to respond now, think about the risks, and how we can reduce those risks, even if there is no evidence of these risks. If a final decision is made on unsound evidence, then we will look at a Judicial review. For every risk we need to either debunk the risk using evidential based hard facts, not opinions, or suggest a sensible and robust fix. You need to speak to your MP, we need MPs on our side – this won’t be easy, firearms are seen as toxic by MPs, even if they agree with us in private that further prohibition is unnecessary and pointless, they will need a lot of convincing to say this publically. The Home Office seem genuinely keen to work with us, and lines of communication have been opened up. This is the start of a process. 2017 .50CAL WORLD CHAMPIONSHIP - SUCCESS FOR THE FCSA UK! Late in June 2017 four members of the FCSA traveled to Raton. NM in the USA for the .50cal world championships. Two of our members having great success. Scott Wylie taking a 4th Place in the Unlimited class score and a 3rd Place in the International match. Vice president Mike Roberts had a most productive week, taking a World Title in the Semi Auto / Practical 2 gun match. A 4th in the Practical Match, 5th in the Semi Auto match, 5th in Light gun score, 4th in International and 5th in Iron man. Chris Buckley and David Williams also had a great week and learnt an awful lot too. As of March 2017 we have use of the SARTS targetry at Warcop (reactive targets), on both C-10 and H12 ranges, excellent fun for your smaller calibres from 100 - 300M, plus hard targets for the big guns from 1000M onwards. SARTS has transformed this range, and in time I can see it being as popular as Sennybridge. See pictures below from H-12, you can just make out the circle of hard targets in the far distance. We welcome Darren Bean as the new FCSA UK club secretary, Darren can be contacted via the 'Contacts' menu item above. For those that do not know Darren, he has been our Warcop lead RCO for several years now, he knows his stuff and is in regular contact with the MOD and Landmarc, so knows how they operate, and understands what they want from us. Many thanks to Darren for taking on this challenging role and best of luck! As of the 15th October 2016, all FCSA bookings will cost £15 per member per day, visitors £30 per day. 'Trusted clubs'* £20 per member per day. * Trusted clubs are currently: Warwickshire Armourers Rifle and Pistol Club and the Red Rose Rifle club. The report has been published, thankfully it appears as through we are 'out of the firing line'. Our first visit to Salisbury Plain "Javelin" range was a massive success! This fantastic range has the potential to be our No.1 range, something for everyone with hard targets, gongs, silhouettes & target screens that can be scored whenever we want. Distances from 200 yards to the horizon. Huge thanks to all those members that attended and made the day such a rewarding shoot. At long last our Salisbury Plain bookings are now LIVE on our attendance register, if you want to attend on the 5th December (or any other dates) please register via our website. As this is our first booking we are under orders to assemble at an RV point external to the range area, and drive to the firing point in convoy. This restriction may be relaxed once we get more established. The exact RV time and location will be announced on, or before, Thursday 3rd Dec, I’d anticipate that this would be around 08:15 but will confirm as soon as a route into the range has been verified as passable by a regular car - tracks are crushed stone, slightly rutted in places, but nothing too severe. Late arrivals will not be permitted as we have no way of escorting you at the moment, as and when we get more members authorised as ‘red card’ holders then we could in theory send out a vehicle to mop up late comers, however this is not an option right now. The club will bring a small number of targets to add to the hard targets that are already on this range. Further details to follow by email to all members. The Eurocrats have hijacked the recent atrocities in Paris in an attempt to steamroller through these draconian proposals, not everything has been decided on or agreed yet, however it would seem that the following points were agreed on the 20th Nov: implementing a common standard for deactivated weapons, retaining all passenger details for EU flights for 12 months and locking down of the external boarders. Their response to the immediate reclassification of semi-auto rifles to category A (prohibited – same as our Section 5) was more vague, I quote: 3. The Council: b) welcomes the presentation by the Commission on 18 November 2015 of a proposal to revise the current Directive on Firearms, on which work will start without delay. Various shooting groups across the EU are already gearing up to oppose this, I’ve also been advised that certain EU member states such as Finland and Poland are totally against these proposals – anyone that boarders Russia would no doubt sympathise! At least two opposition petitions have already been setup, see below. I’ve attached the various documents that are in circulation, along with a statement from the Belgian equivalent of the NRA. I urge you to oppose these proposals for stricter control of licensed firearms. Start with the online petitions, then we’ll assist members in drafting any personal objection letters. The club will also write to formally oppose any proposals that restrict the legitimate and licensed target shooter or hunter. We’ll keep an eye on this and try to update you as and when something changes. Many thanks to Jan for trawling through this lot, providing the attached documents and making sense of it all. Click here to read our 19th September 2015 submission, we also sent a separate submission on the 21st September, which contained our recommendations on the licensing process. To ensure clarity we produced these 2 very different, and separate, responses. On the one hand we need to 'educate' the lawmakers as to who we are, and what we do (hence the 1st submission) - and on the other hand we do not want to miss out on the opportunity to simplify the current firearms laws. Click here to read the NRA submission, sadly it DOESN'T help us at all, details as to why this is the case will be provided by email to all members. You may have recently read various articles regarding a new consultation announced by the ‘Law Commission’ in relation to UK Firearms law, this consultation closes on the 21 September. Never heard of the Law Commission? One of the primary purposes of the law commission is to examine archaic laws and simplify them in the UK. As we know, firearms law is ridiculously complicated, and the admin required by the Police to work within the framework is both confusing and time consuming, and therefore expensive (as seen in the recent price hikes for renewals etc), its also open to wide interpretation between police forces, occasionally to our detriment. The Law Commission is a statutory independent body, and according to their website, before deciding which projects to take forward, the Law Commission takes views from judges, lawyers, Government Departments, the voluntary and business sectors, and the general public – so that means us. At the end of a project they will submit a report to the Lord Chancellor and relevant Secretary of State, giving their final recommendations and the reasons for making them. Where necessary, they will include a draft Bill that would give effect to their recommendations. It has been claimed that approximately 67% of the Law Commission's law reform recommendations have been enacted. On initial inspection of this project, it appeared that this could work to our advantage, imagine a simplified streamlined renewal/variation process? However I was dismayed to discover that one of our members has been contacted by his licensing department, advising him that the firearms licensing department manager will be using this ‘opportunity’, to prohibit private ownership large calibre rifles for sporting purposes – stated as 338, .50, 20mm etc, (and also high capacity .22RF magazines) and is prepared to “actively petition parliament”. This is a blatant attempt to hijack what should be a unique opportunity to improve procedures. It is of grave concern, and has forced us to submit a pre-emptive response – which I am in the process of drafting. If you have been contacted by your licensing department, regarding this consultation, please let me know urgently. We will NOT contact the licensing department, and will not name them in any correspondence with other club members, or our actual consultation response – unless you request otherwise. If it appears that licensing departments are acting unlawfully then we may advise the NRA accordingly. Responses needed by the 30th August 2015 please. Raton 2015 - 50cal world championships! Preparations for Raton 2015 - at Sennybridge! I am writing to you all to inform you of some significant changes to the clubs management structure. I formed the FCSA UK with John just over 10 years ago, with the aim of it being a relatively small club with the sole intention of fighting the Home Office on its 2004 attempt at further curtailing the sporting use of very large calibre firearms. Initial estimates were that we’d achieve a membership of around 40 or 50 members. Since then, the club has grown exponentially, with a current active membership of around 350 people, and rather than being a small pressure group, we shoot every month, compete on the international stage and are highly regarded by similar shooting organisations around the world. Having 350+ members, plus the several dozen new applications received per week (many are not accepted), obviously creates a huge workload for John, as he also manages the Offas Dyke membership, which is of a similar number. The impact on John is tremendous, and considerably more than anyone should have to deal with. A typical visit to the range for John consists of dealing with numerous membership & renewal enquiries, before finally getting down to shoot for an hour before the range closes, if he’s lucky. The ‘behind the scenes’ task of dealing with the MOD, Landmarc, and the Police is nothing short of a full-time job. It is in this environment that we have discussed the prospect of reducing John's burden in a staged manner, with the aim of giving him some quality of life back, whilst ensuring that the club remains in safe hands. With this daunting prospect in mind, it was good fortune when one of our more active members stepped forward to offer his assistance. I met with John to discuss this offer on several occasions, and after lengthy discussions it was agreed by both John and myself that succession planning would be instigated without further delay. 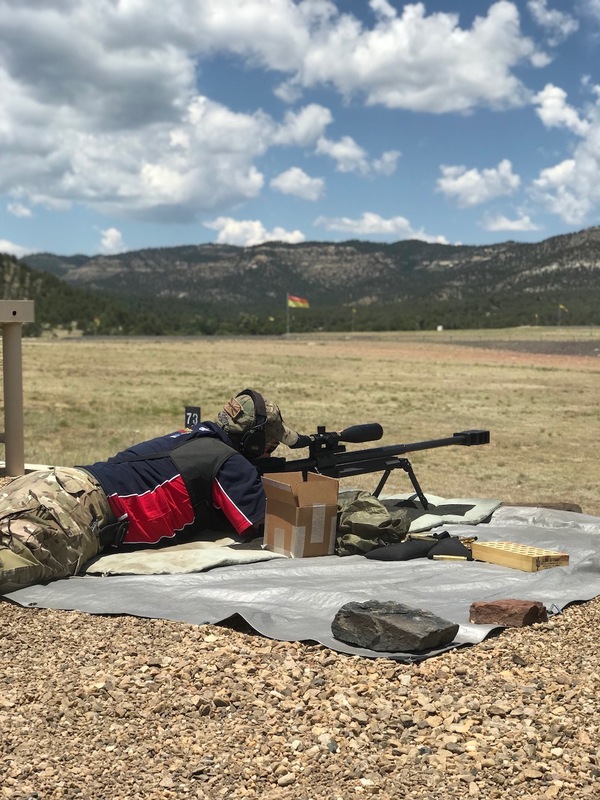 This individual is Mike Roberts, you may well know his name as he was one of the group that attended the 50cal world championships in Raton this year. Mike is more than just a keen shooter, having worked with firearms for many years on a professional basis, thanks to his service with the RAF and Met Police, he now directs his firearms towards long distance ETR targets, as well as being an active stalker. Luckily for Mike, his current occupation enables him to allocate his time in a manner conducive to club secretarial tasks. So as of this email, I’d like to formally thank John on behalf of each and every member of this club for his absolute steadfast dedication to the club, words cannot honestly express our gratitude. I’d also like to welcome Mike in as the new Secretary of the FCSA UK, and hope that you will all support him in his new found role in life. Please bear in mind that this is certainly NOT a goodbye to John, John will continue to arrange all range bookings for the FCSA until approximately April/May 2015, at which point I’ll take over that task for the FCSA. John will also continue as FCSA Treasurer for the next couple of months at least – his successor for this post is in the pipeline, more on that one later. I should point out that John will continue as Secretary and Treasurer of the Offas Dyke rifle club, so he still has a significant burden. We have formulated a detailed plan, outlining a multitude of tasks that need completing as part of this complex handover, it is anticipated that this will be a fairly smooth transition so hopefully it wont impact dramatically on any member. Mike can be emailed (phone number on website), all renewal & membership enquiries, or requests to bring guests should now be directed to Mike. Range booking enquiries should still be sent to John. Most importantly, you’ll hopefully see more of John relaxing and shooting his 50cal!